Find My Workspace lists over 95% of the serviced offices & coworking space market in Causeway Bay. Simply click Request Quote to check pricing for one office, or Add to Basket for multiple offices. This center offers members access to fully serviced office spaces, equipped with a variety of office facilities & furniture, such as desks, ergonomic chairs, pedestals, partition, cabinets and more. Members have access to a dedicated telephone and a dedicated fax line; as well as being able to access the space 24 hours a day, seven days a week. The space offers access to broadband with a 1000M Wi-FI connection throughout the building. The inclusive rental fee covers everything including; government rates, water rates, electricity rates and telephone rates with no hidden charges. The team on-site offers various secretarial services, including preparation of official document(s) (Government fee not included), amendment of articles of association and other specified services. Public amenities include printing, copying, scanning and access to conferencing and meeting rooms. To top it all off, tea and coffee is served throughout the day. 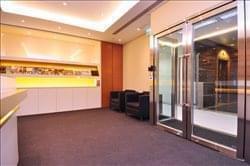 This business center is situated in a Grade-A 39 storey office space, connected to an 18 storey shopping center, and offers members access to both coworking and private office space options. The space offers members fantastic views of the city, the harbour and Victoria park from the 26th floor and offers access to fully equipped meeting rooms, business lounges for working on the go, a fully fitted kitchen area and an abundance of communal space for relaxing, informal meetings and general time away from your desk. The space has an on-site management team that offers secretarial and admin services as well as mail handling and reception services upon request. 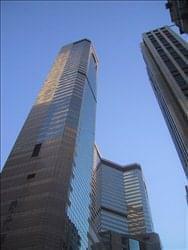 The office is a grade B Building which is nearby Causeway Bay and Wanchai. The team in the office is proactive and efficient and on hand to support your needs. The centre provdes high speed Wifi, private Office, virtual Office, hotdesk, event venue and meeting room, 24 hours and 7 days access, flexible contract term, furnished offices, free drink such as tea, coffee, water and pantry for your daily office work. There are various secretarial services, including preparation of official document(s) (Government fee not included), amendments of articles of association and other specified services. This office space is perfect for those clients who are wanting to grow their business efficiently and with professionalism. The offices available are modern, spacious and include air-conditioning and internet access. 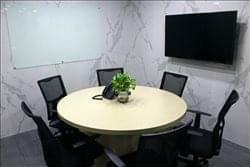 In addition there are meeting rooms available to rent with audio and video conferencing. In addition, phone answering and transferring is included to clients. The entire 23rd floor is fitted out in a trendy modern design and most of the offices face the city with spectacular views. The space offers the finest serviced offices that are fully furnished with all necessary facilities and backed by the best technology infrastructure needed for your business. In addition, the centre have very friendly on-site team, always ready to go that extra mile to support your business, be it welcoming your guests or answering your phone, the staff do it with a smile. These professional and modern office spaces are ideal for any well-established business. The glass walls and open airy spaces make it the perfect corporate environment that ensures all will be able to work efficiently. Not only being fully furnished and equipped, this centre provides a free telephone line, high-speed wifi as well as an approachable and professional on-site team to provide support when needed. 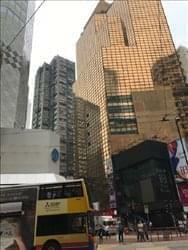 This centre is located at Causeway Bay Plaza, one of the famous landmark in Causeway Bay District. 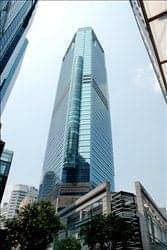 Being situated in the heart of Causeway Bay and one step away from MTR Causeway Bay Station, the location is a highly convenient place for every business institute. With surrounding hotels, financial institutes and malls, this centre is your best selection for developing your business. 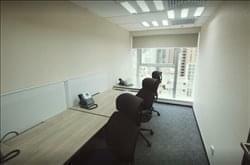 A contemporary business centre in Causeway Bay, this space features serviced offices and meeting rooms in various sizes, as well as a co-working space. 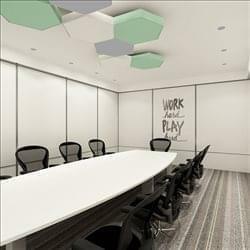 Advanced office amenities including a luxurious pantry completes the professional feel of the space. With its vibrant and convenient setting and high-quality office fit-out, our business centre at Lee Gardens is an excellent location for your serviced office, virtual office, or meeting. Use the virtual office packages to provide your company with an address on paper, business cards and your website, while the on-site meeting rooms are ideal for meeting clients and suppliers – you’ll get 8 hours a month access to meeting rooms, plus mail handling. All tenants can benefit from their own phone line and call handling by the professional and courteous front desk team, who’ll tell you about any missed calls, messages and can forward calls when you’re in the office. Combine your own phone line and call handling with a business and mail services address – the perfect package for startups! 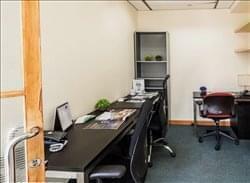 Both private offices and virtual office options are available to tenants. As well as being fully-furnshied, these private offices are spacious and perfect for all business people. A dedicated and approachable on-site staff ensures all tenant’s needs are catered for. High-speed wifi, 24-hour access and meeting rooms fitted out with conference facilities enables client to work professionally and efficiently. A free telephone line is also available. 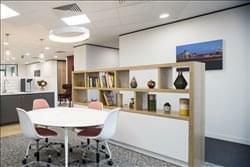 This vibrant working environment in Hong Kong’s Lee Gardens offers co-working spaces, private offices and meeting rooms for client’s business presentations. This centre provides clients with a perfectly sized working environment where they have 24-hour access to the secure building. Super-fast Wi-Fi and excellent coffee brewed by real baristas are just the bonus that comes with this new, inspirational work space. Reception services, breakout spaces, IT and administrative support as well as copying and printing facilities ensures that all tenants are able to work efficiently and have some where to relax during the working day. In recent years, quite a number of domestic and foreign start-ups have chosen Hong Kong as their starting hub. 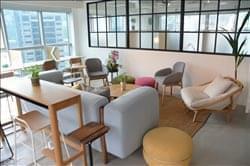 In view of this, this business centre has created a new shared working place, on Hysan Avenue, providing start-ups with a comfortable and well-located workspace with attractive prices. The main theme of this space is a modern English-style decoration and it prides itself on using luxurious European style furniture. In this space, you may find large comfortable sofas in the common room, while surrounded by walls with British canvas. An event zone, private office, common area & hot desk as well as a large meeting room for 30 people are available at this co-working space as well as all of your daily office needs like Wi-Fi, iMac, 3D printer, 42” TV, flip charts, printer and scanner. In addition, this space offers several open area and shared desks with comfortable couch chairs, flexible working hours, magazine zone, complimentary maxi bar snacks and beverages as provided. Whether you are looking for opportunities to meet people from all walks of life or want to own an independent and serene work environment, or event hosting workshops, seminars, trainings and private events, this workspace is your ideal choice. This centre stands at the hub of the commercial area and is a flagship development, comprising an office tower and a splendid shopping centre. Enjoying spectacular views of the harbour and Happy Valley, this site is home to many multinational corporations and luxury brands. This beautifully furnished workspace allows its members access to all common areas, event space, private booths and pantries. Members have 24/7 access to the building, and fully functional conference rooms across our global footprint including dry erase boards, Polycom speaker phone + flat screen TV’s for Skype or Google hangouts (allotment of credits/month included). You will also be able to login to the Member Network of 50,000+ members internationally as well as have access to this business centre’s buildings in all other countries w/ credits. Your business will benefit from guest reception, greeting and announcement plus a stocked kitchens including coffee, tea, water (feel free to recommend anything you need in the kitchen area). Exclusive events designed to help grow your business with access to event space that can fit up to 150 people with full ocean view. Community staff can also help with your events in the space if needed. Our serviced office provide a comfortable working environment to users, size ranging from 50 sf. to 150 sf. and minimum contract period is just one month. All rooms are fully furnished and equipped with private telephone line and free broadband internet. Users can enjoy facsimile service, 24 hours access and more. Opening mid November – A coworking and serviced office workspace that connects business and tech talents, nurtures growing startups. Offering a true co-working experience this community consist of entrepreneurs, web/app developers, consultants as well as data architects, digital marketers, social media specialists and designers. Providing hot-desk and dedicated desk co-working, serviced offices and event space so there are options for every type of worker. With an abundance of amenities from green workspaces, free wi-fi, lockers, standing desks, coffee machines, brainstorming labs, scanning and printing facilities, 24/7 access and a gorgeous rooftop terrace, you have everything you could ever need under one roof. This centre consists of 15,000 sq.ft. 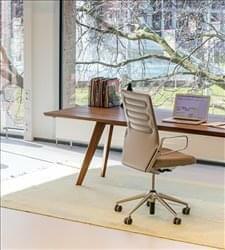 of contemporary and professional work space. Flooding with natural light and a obtaining a minimalist design, these co-working and private spaces are the perfect working environment for all. Large communal spaces and two huge outdoor podiums offer a variety of collaborative and social work space for all tenants. In addition, the centre benefits from a self-contained event space which is able to accommodate 200 people comfortably. This collaborative working, reading and studying space supports events and welcomes partnerships between members – especially cultural and design-themed industries. 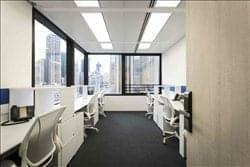 Benefit from a flexible set-up in a fully-furnished space, where you can work in a light-filled and stylish environment, in the heart of Causeway Bay. 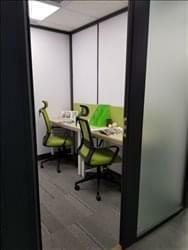 This space includes a reading lounge for a more relaxed workspace, a “quiet focus zone” for when you need quiet to complete that final project, plus a selection of private meeting rooms for collaborative work. In this centre you can take advantage of high-speed WiFi, complimentary drinks and snacks, communal kitchens with speciality coffee, printing and scanning services, plus the availability of lockers and free magazines and books for when you want to relax between meetings. The aim of this business center is to provide a comfortable and relaxed working environment with high quality service at a reasonable price. They provide different kinds of business-related service, allowing you to valued focus on your business. There are premier offices and meeting rooms, virtual office solutions and professional one-stop services. It also included on-site car parking facilities. The idea of the centre is similar to service apartment, customer had no liability to agent fee. Our office come fully furnished with modern design, business could start at anytime once the registration done. The centre provide flexible lease terms and variety of options to your office size. This centre is the most well-known building in the area. With two office towers and 12 floors of shopping mall at its base. Many international corporations have selected to set up their offices here, including Shell, Disney, McDonald’s and McGraw Hill. In September 2010, the centre expanded a further 11,000 sq ft, and features world-class facilities and equipment, and views of the famous Victoria Harbour. The centre provides 24 hour access, air conditioning, administrative support, AV equipment, beverages, furnished offices, IT support, meeting rooms, parking, telecoms and telephone answering for your daily use. This business centre offers across four floors a spacious modern design with co-working areas as well as dedicated private office rooms. There are a total of 76 offices, ranging in size from 2 to 12 person spaces. There are a total of 256 desks throughout the centre with 40 of those dedicated to hot desking. The centre also provides a large, multi-pupose event space that covers over 2300 square feet, which can accomodate up to 150 people. As well as this there are various meeting spaces that make this centre the perfect locations for any growing business. This centre offers immediate on-demand office space to rent. 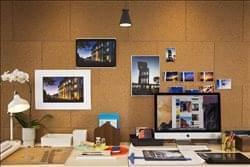 Maximum flexibility, productivity, efficiency and comfort are achieved by incorporating current and emerging technologies for full service office solutions. This includes secretarial/word processing, desktop publishing, database management, presentations, spreadsheets, high-speed photocopiers and more. This office space is perfect for any type of business. With the freedom of upsizing the office space, flexible configuration options and competitive pricing, a stylish serviced office provides businesses and entrepreneurs with a prime location. This space is surrounded by strong transport links making travelling around the city simple and easy. Fully equipped with state-of-the-art technology, and comfortable, contemporary furniture, your guests and clients will be impressed with the professionalism of their surroundings – a true bargain in this super convenient, prime location. 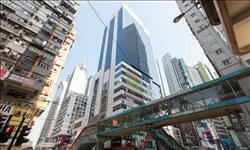 Located at the heart of Causeway Bay, along Yun Ping Road. 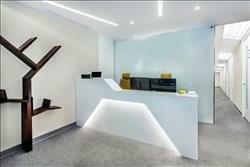 With its prominent location and exceptional reputation, this centre is definitely an ideal space for top-tier business, and MNCs to setup their new branches somewhere close to prestigious companies from banks, wealth management companies and management consultants, to other professional service providers. This centre offers offices suitable from 1-6 people and it comes with a stylish yet professional conference room which allow client to meet their business partner anytime. Our considerable design allows client to have plenty of storage yet highly efficient in use of the office. High speed Cat6 internet connection & advanced technology I.P. phone allow you to work more efficient than in elsewhere. To obtain information for your selected Causeway Bay Serviced Offices & Coworking Space, please tick the "Add to basket" box for each office you prefer and complete the form below. We will then send a detailed report via email.